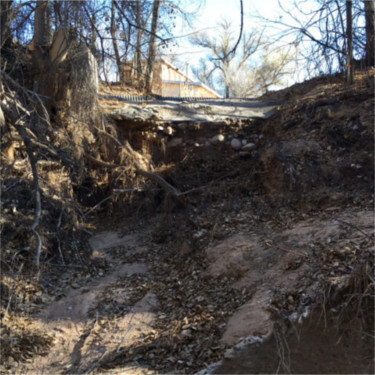 The Acequia del Llano Nambe is located in the county of Santa Fe, New Mexico. 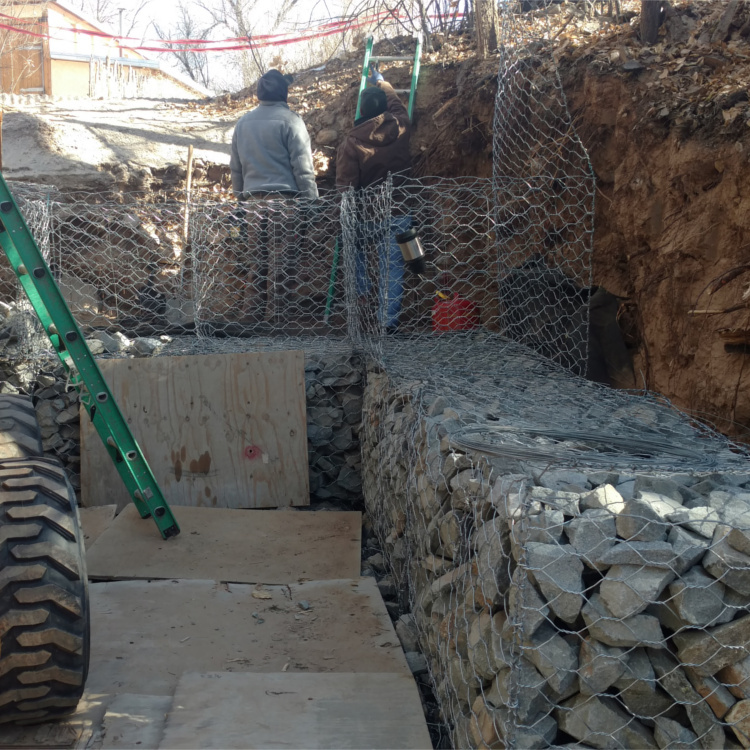 The rehabiliation work consisted of the excavation, grading, and placement of geotextile fabric and gabion baskets. 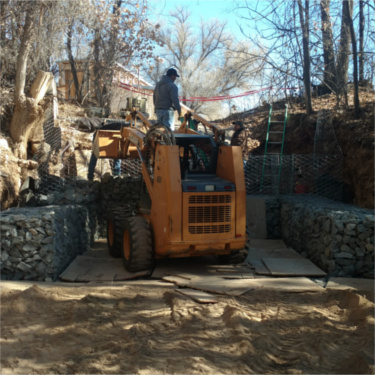 The gabion baskets were filled with rock and a concrete cap was placed on top.